There is an ominous blend of encouragement and caution as the World Health Organization (WHO) released its 2015 global tuberculosis (TB) report. This year is a key year for the report as it was the deadline identified in the United Nations Millennium Development Goals. The report uses data from 205 countries comprising 99% of the world’s population to assess how global efforts to diagnose and treat the disease have progressed. The good news is that the report shows how occurrences of TB in 16 of the 22 most vulnerable countries have fallen 18% since the turn of the millennium. Worldwide, efforts to combat the lung disease have saved an estimated 43 million lives in the same period. Unfortunately, the end result is that TB now ties HIV as the leading cause of death among infectious diseases. This ranking is based on the roughly 1.5 million tuberculosis deaths in the past year compared to around 1.2 million from HIV. The two numbers have some overlap, as about a third of the TB deaths were in patients with HIV. Although the death rates for both diseases have been falling, HIV has been outpacing TB in both treatment efforts and funding. Worldwide spending on HIV prevention and treatment is around 10 times the amount spent on combating tuberculosis. Although the funding for treatments are not fully comparable—HIV is widespread in Africa, while tuberculosis is more common in countries like China and India that can better mount domestic responses—it highlights how uneven focused efforts are between the two. 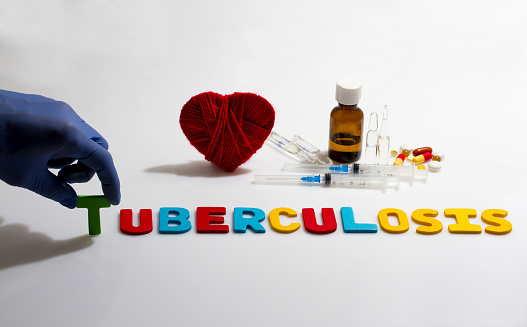 Adding to the complication is that around three percent of new tuberculosis cases are becoming resistant to first-line antibiotics. The comparative lack of focused effort and funding combined with this resistance trend could end up setting back efforts to combat TB. The most unacceptable part of this, in the eyes of the WHO, is the fact that simply put, TB is curable; unlike HIV, TB is not an incurable lifetime condition. With the deadline for the Millennium Development Goals approaching, the WHO will be switching to its “End TB” strategy starting in 2016. This approach, combined with increased drive for international funding and treatment efforts, aims to cut TB deaths by 90% by 2030. There will also be an increase in efforts to find possible treatments or vaccines. Currently, there are fifteen TB vaccines and eight drugs undergoing clinical trials. Gallagher, J., “TB ‘joins HIV as Most Deadly Infection’,” BBC News web site, October 28, 2015; http://www.bbc.com/news/health-34658015. “Global Tuberculosis Report 2015,” World Health Organization web site, October 1, 2015; http://www.who.int/tb/publications/global_report/gtbr2015_executive_summary.pdf?ua=1. “Tuberculosis Now Rivals AIDS as Leading Cause of Death, WHO Says,” CBC News web site, October 28, 2015; http://www.cbc.ca/news/health/tb-who-1.3292281.